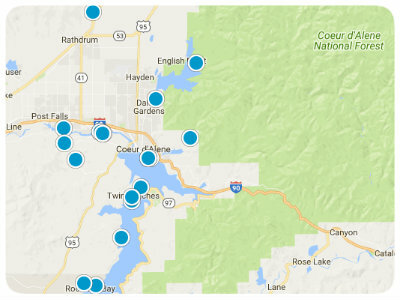 For a complete list of ALL Post Falls homes for sale, please use the search bar above and get as specific as you want. Or search by Price Range using the links below. 3 bed, 2 bath home on the 7th Fairway in Prairie Falls subdivision! Well kept home with open living area. Shed included.